The all-new Kia Soul is now available from Kia Motors Fiji showrooms in Suva and Nadi. Bigger, brighter and more refined- that’s the key story to the arrival of Kia’s second-generation Soul, an all-new model that introduces a smooth new-look exterior. The all new Kia Soul has won a loyal following through its individual styling, practical use of space and all-round ease and satisfaction of ownership. The original Kia Soul generated immense loyalty among owners and both existing and new buyers for the latest model will appreciate the latest car’s significantly quieter cabin, higher quality materials, increased space for people and cargo, plus the new range of premium features. 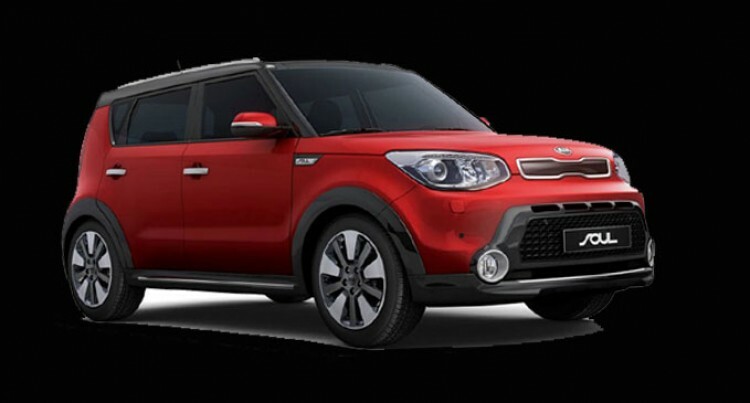 “The Kia Soul has become one of our brand’s most popular export models, attracting loyal customers from a wide range of backgrounds across many countries– so it was important that the all-new model remained true to the original iconic design,” said Soon-Nam Lee, Kia’s vice-president of overseas marketing. Now, the introduction of the exciting second-generation Soul is a truly significant landmark for Kia. “The Soul already has great emotional appeal, infused with its improved driving dynamics, developing a higher quality cabin and adding desirable features to highlight the new Soul’s fresh sophistication. The all new Kia Soul has been improved and designed with the customer feedback. With its transformed appearance, broader range of features, improved dynamics and refinement will attract both existing and new customers to the Kia showrooms. The new Soul was created at Kia’s American Design Centre in California, by a design team headed by Tom Kearns, chief designer, Kia Motors America and overseen by Peter Schreyer, chief design officer, Kia Motors Corporation. Designed thoroughly fresh, becoming more grown up, without losing its edge and honoring Soul owners and its upright stance, squared shoulders, wraparound greenhouse, high-mounted tail lights and confidence-inspiring ride height are all hallmark design elements. The new Kia Soul has subtly larger dimensions. Compared with its predecessor, the new model is 20 mm longer (4140 mm), 15 mm wider (1800 mm), but drops 41mm (down to 1619mm) with the standard roof rails. The new dimensions and the extended wheelbase (also up by 20 mm to 2570 mm) have allowed improvements to the vehicle’s practicality, with more space for people and cargo, plus the tailgate opening is now 62 mm wider (1005mm), providing easier access to the cargo bay. To isolate occupants from road imperfections, the new Soul’s front suspension, engine and transmission are now mounted on an all-new stronger subframe with four bushings to minimise ride harshness. The all new Kia Soul, along with Kia’s full line up of vehicles, are now available at Kia Motors Fiji Showrooms, located in the corner of Grantham Road and Carpenter Street, Garden City, Raiwai Suva, and on the Main Street in Nadi town.Kia Motors Fiji Service Centers are located on Carpenter Street in Raiwai Suva, and on the Khan Jan Drive, Wekamu Sub-division in Nadi, opposite the Nadi Temple.